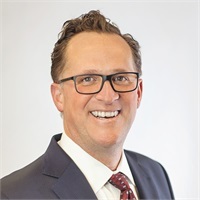 Well into his third decade in the financial services industry, Steve has developed recognized knowledge in the advanced business and personal planning arenas. He is experienced in the use and implementation of such advanced concepts as Modern Asset Management Techniques, Retirement Programs for Key Executives, Advanced Qualified Plan Design, Retirement Income Distribution Modeling, Charitable Trusts, Irrevocable Trusts, and Corporate Owned Life Insurance Plan Design. He has worked in case design and implementation for one of Chicago's largest producer groups and taught several advanced financial planning classes. A graduate of the University of Wisconsin in economics, Steve's research work was published in the Wall Street Journal. Steve sees himself as a facilitator, helping others reach their most important financial goals. He takes pride in the fact that he listens well and makes complex technical concepts easy to understand.